The latest in our 101 Reference Series – a comprehensive reference guide for NSW dealing with appointments of enduring guardian, powers of attorney, wills, estates and family provision claims. Detailed discussion of key terms, issues, legislative provisions and cases, arranges in an easy to access alphabetical format. A handy reference for everyone in the office to have the right answers available for clients at short notice. This publication covers all aspects of criminal practice and procedure, for both simple and indictable offences, when acting for the defendant in criminal proceedings in the WA Magistrates Court. Located as a separate guide in the By Lawyers Practice Management publication, this handy resource brings together in one place hyperlinks to some of the most trusted and useful websites, organised according to areas of law; a convenient starting place for everyone in the firm seeking trusted information to assist clients in any area of on any practice. The new publication features detailed commentary, a matter plan and all necessary forms and precedents for obtaining a grant, getting in the assets and making the distribution. We invite ACT practitioners and those in other states who may need to conduct ACT estate matters to explore our Probate and Letters of Administration matter plans, to appreciate the practicality and value of this new publication. The commentary on testamentary discretionary trusts in all of our Wills publications now has an enhanced coverage of the benefits of testamentary discretionary trusts, when a testamentary discretionary trust is appropriate and making family trust elections. There are several By Lawyers precedent wills which create testamentary discretionary trusts for individuals and spouses, as well as a library of testamentary discretionary trust clauses. The commentaries in all states have been updated with helpful discussion and practical resolutions of some issues that can arise when acting for multiple co-accused. The By Lawyers Family Law author has reviewed the commentary, matter plan and precedents in our Divorce publication. Commentary updates include applications without a marriage certificate and appealing a divorce order, with discussion of important cases. Commentary has been added to the By Lawyers 101 Family Law Answers reference manual in the Children chapter regarding variation of parenting orders and the rule in Rice & Asplund, and the admissibility of settlement negotiations, including useful recent cases on both topics. Our very popular Self Managed Superannuation Funds Guide has been updated to include some new commentary and helpful precedents dealing with death benefits and reversionary pensions. Some important practical content has been added to the commentaries in both these publications dealing with the effect of any settlement or award of damages on income protection policies and deductions or preclusions that might apply to settlements or awards. The By Lawyers commentaries have been updated to deal with recent amendments to the Family Violence Protection Act 2008 by the Bail Amendment (Stage One) Bill 2017. These changes, regarding the relationship between bail conditions, safety notices and intervention orders, are now covered in the VIC Criminal Magistrates’ Court commentary and the Intervention Orders commentary. There are some further bail amendments still to come into operation on or before 1 July 2018 – By Lawyers will update these in due course. By Lawyers is Australia’s leading library of practical legal guides; written by lawyers, for lawyers. Every piece of content is authored and reviewed by practising lawyers. With over 15 000 precedents and 130 end-to-end matter guides, they offer practical and professional guidance for all major areas of law. By Lawyers is fully integrated with LEAP, meaning the precedents within the By Lawyers guides are automated using the data in your LEAP matters. 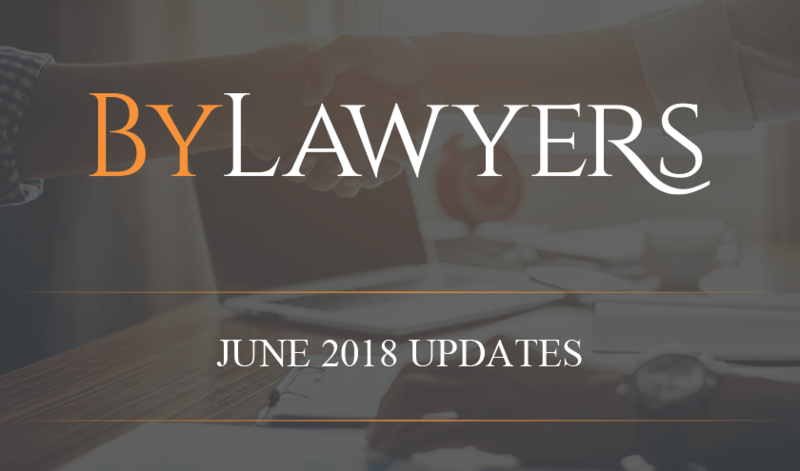 Find out more about LEAP’s integration with By Lawyers.